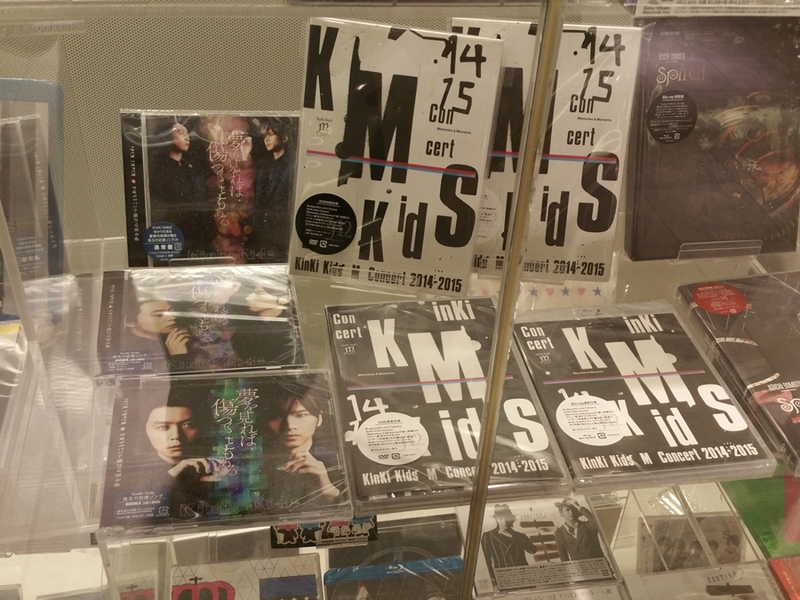 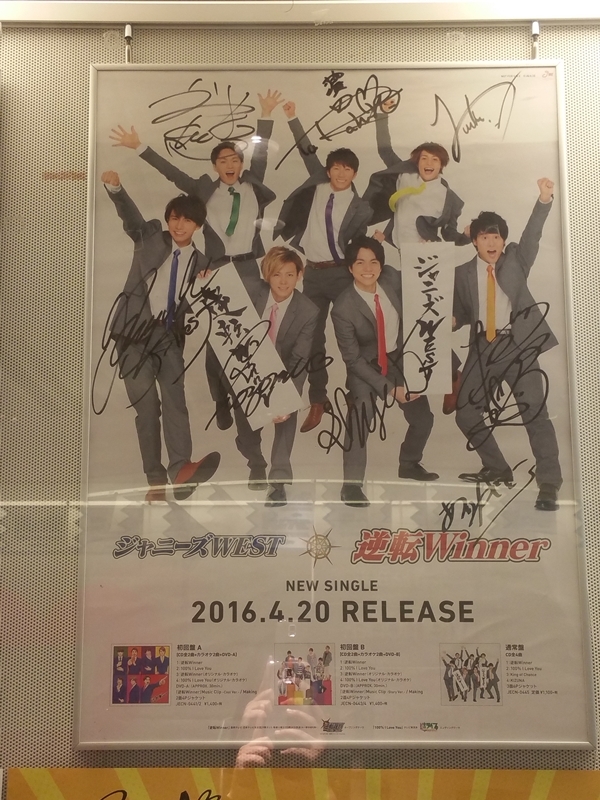 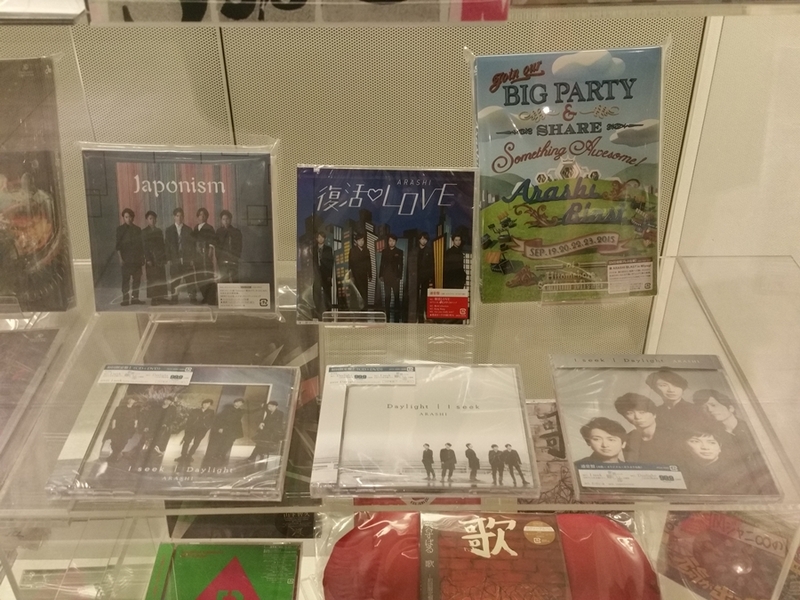 Whenever I am back in Shibuya, I always make a visit to the Johnny's Family Club to see some of my favourite JE idols and groups! Check out my other post of my first visit to the Johnny's Family and directions on how to get there. 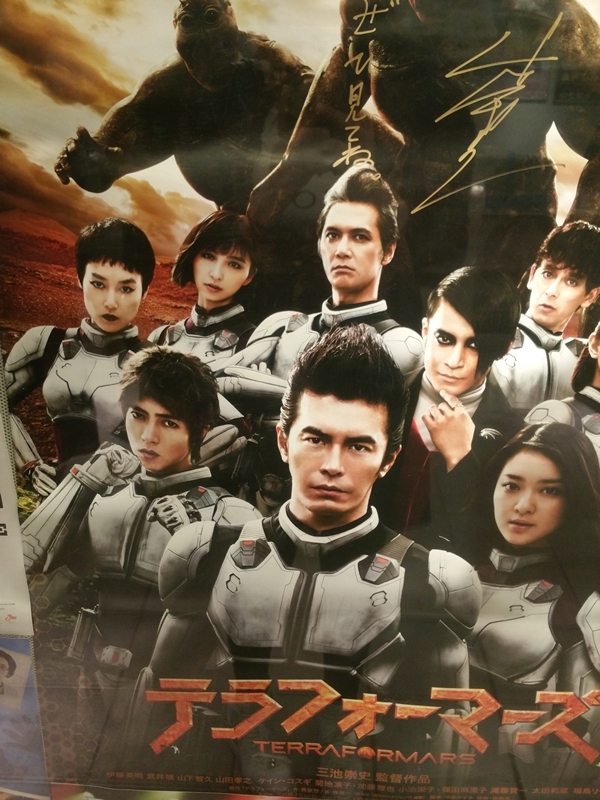 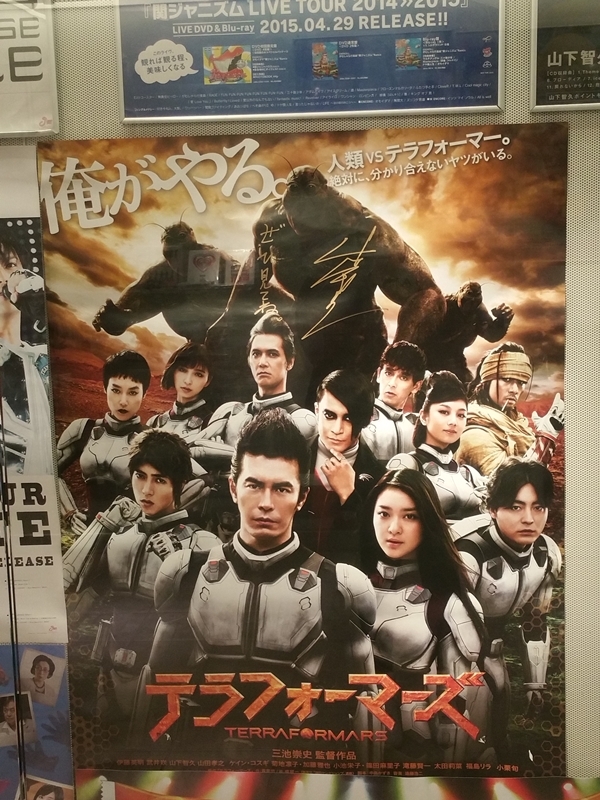 Movie poster of the movie Terraformars which Yamapi was featured in and it was actually playing in theatres during the time when I was in Tokyo. 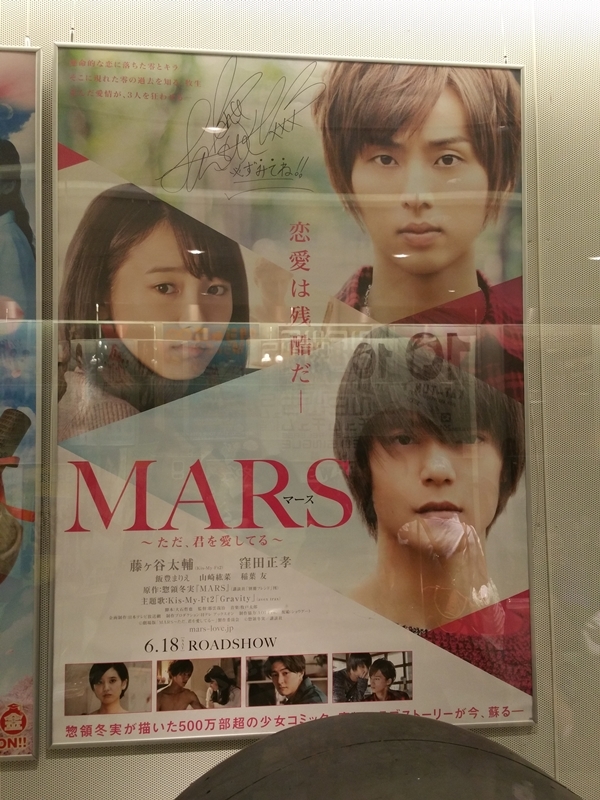 But sadly I didn't get to watch the movie this time around. 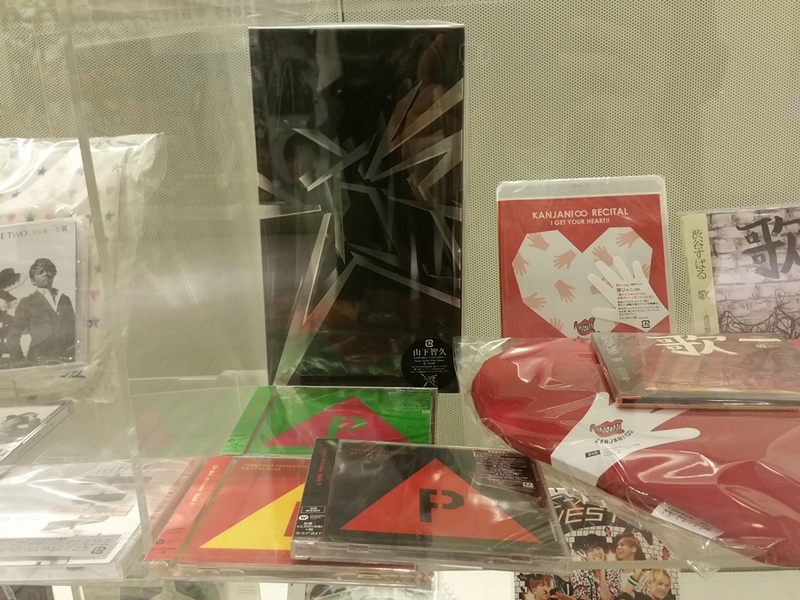 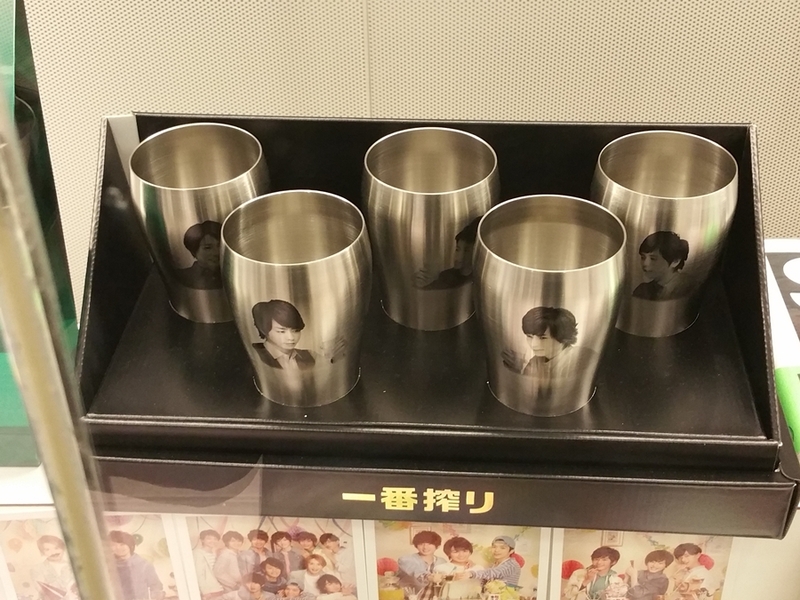 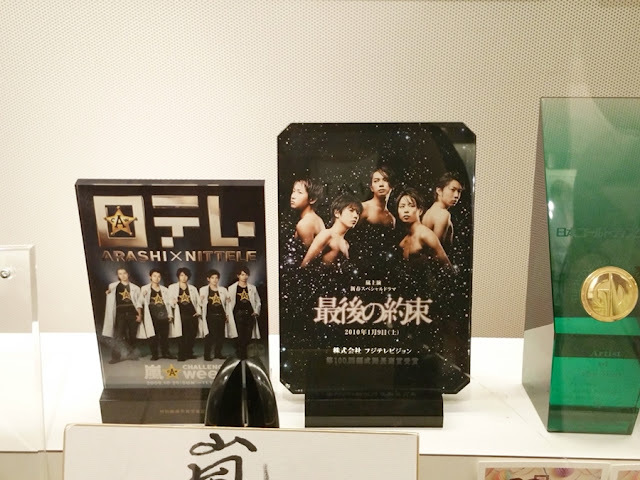 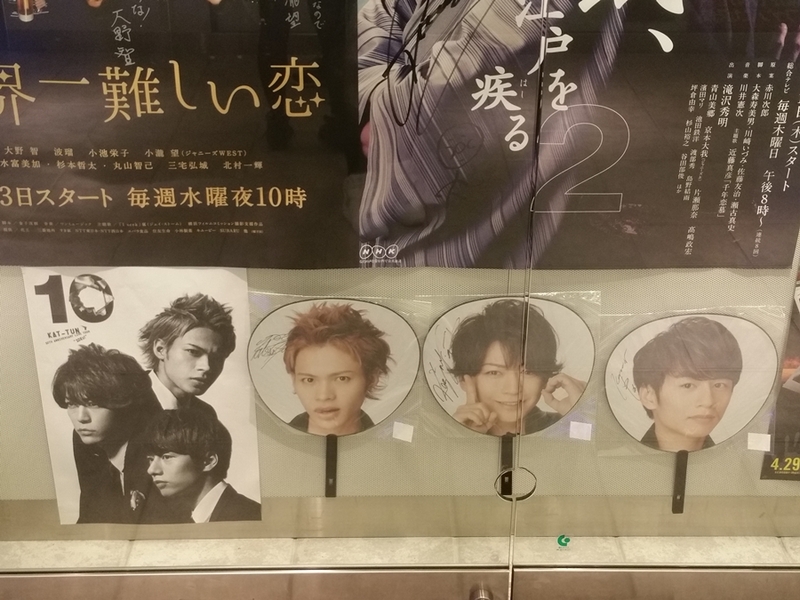 Super cool metal cups with faces of the Arashi members! 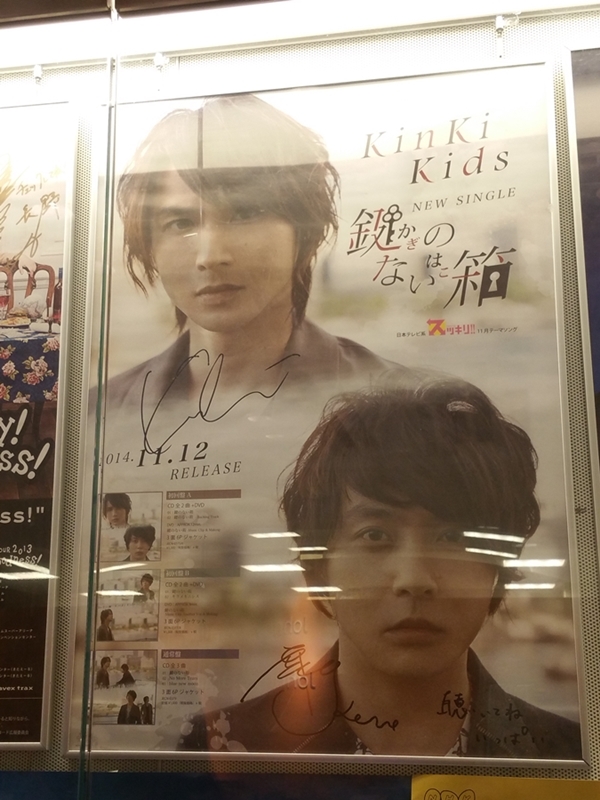 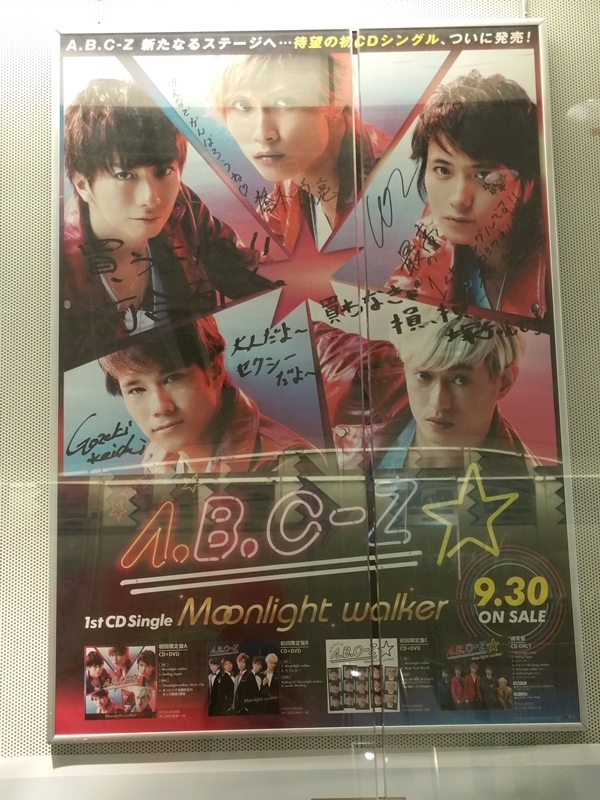 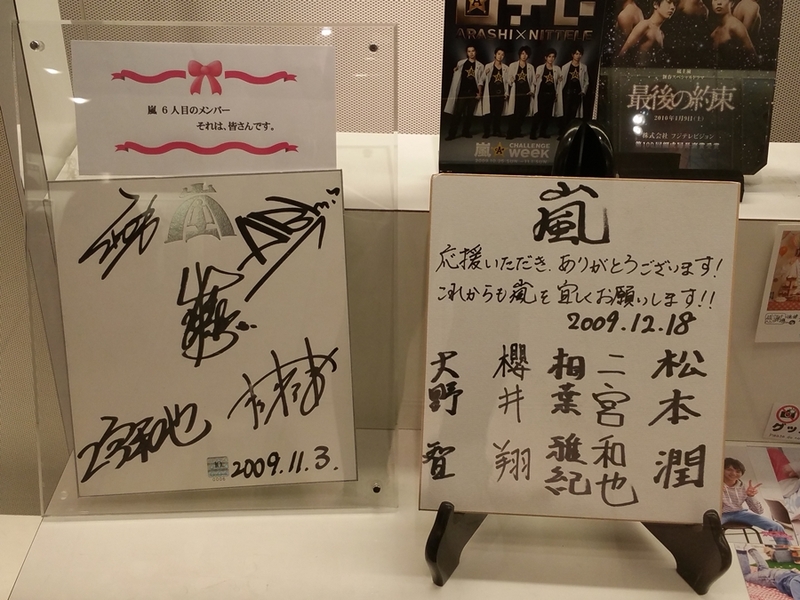 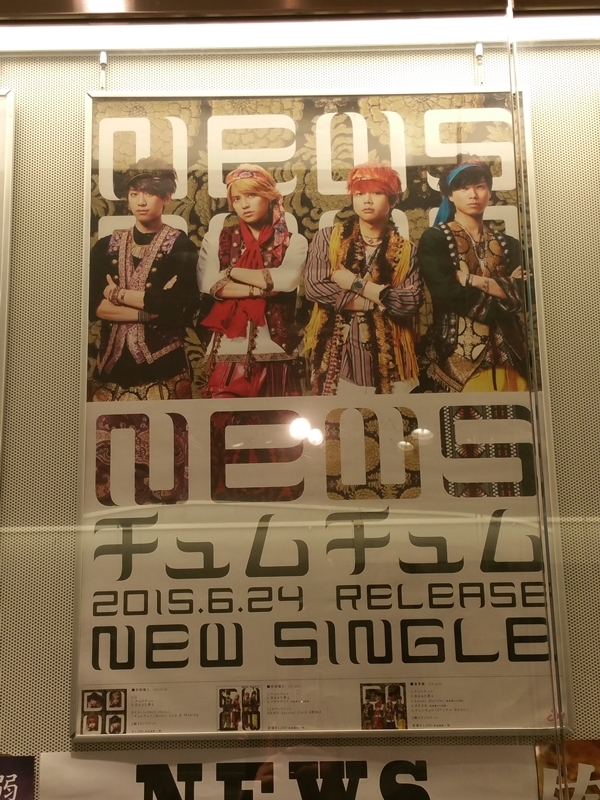 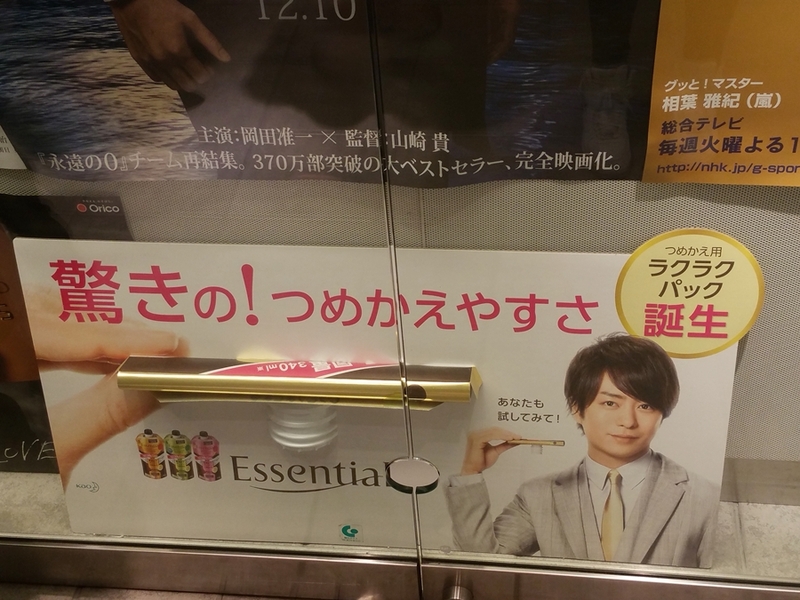 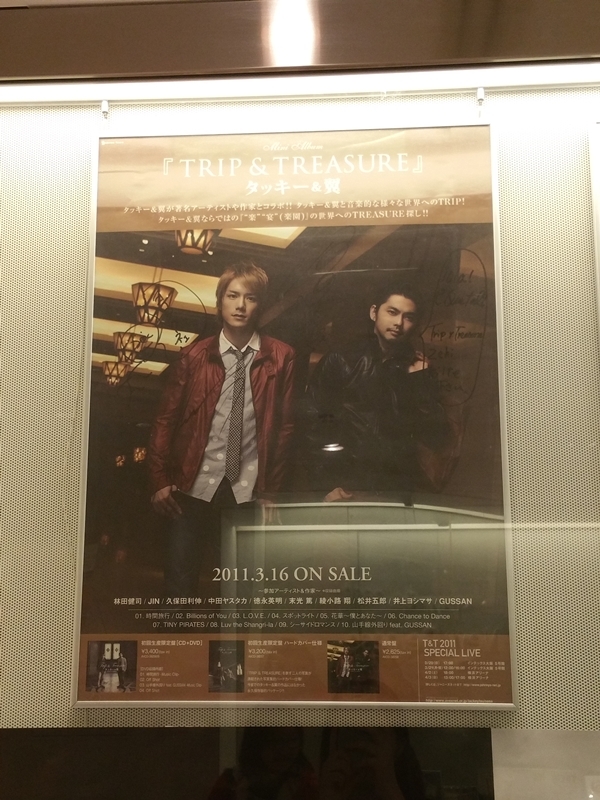 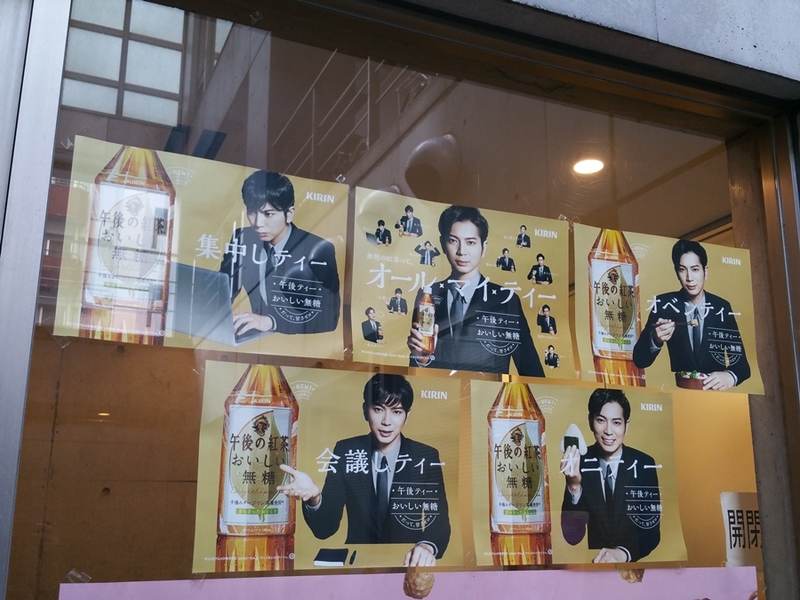 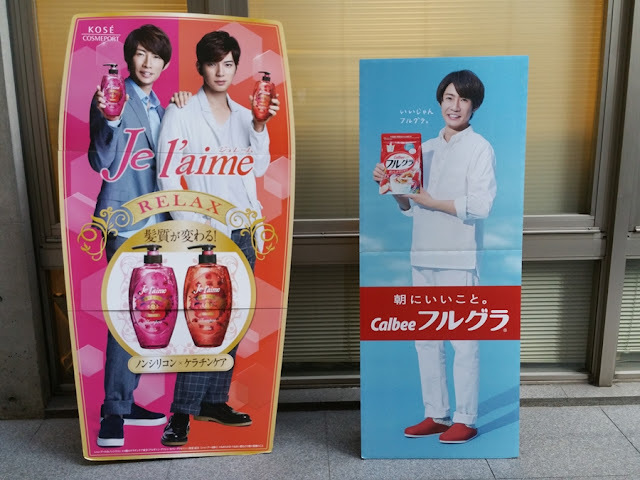 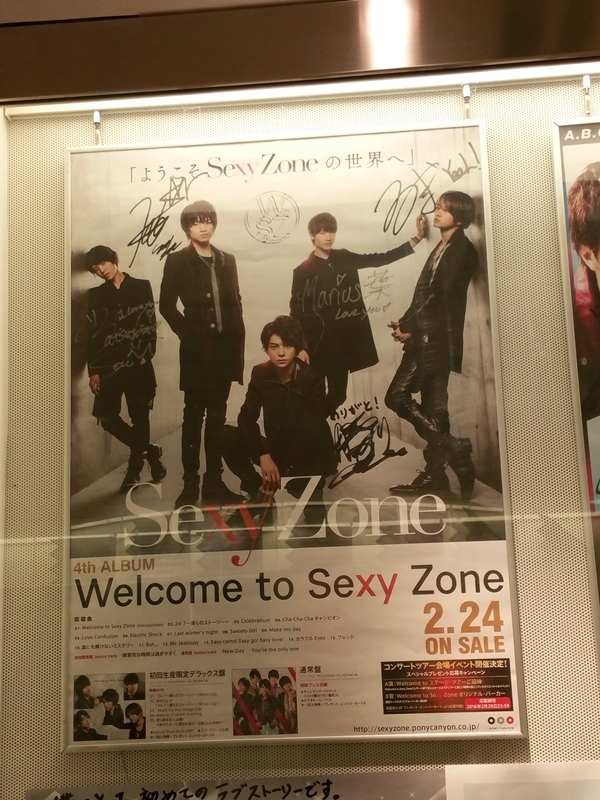 Jun and Aiba ads right at the front entrance of the family club. 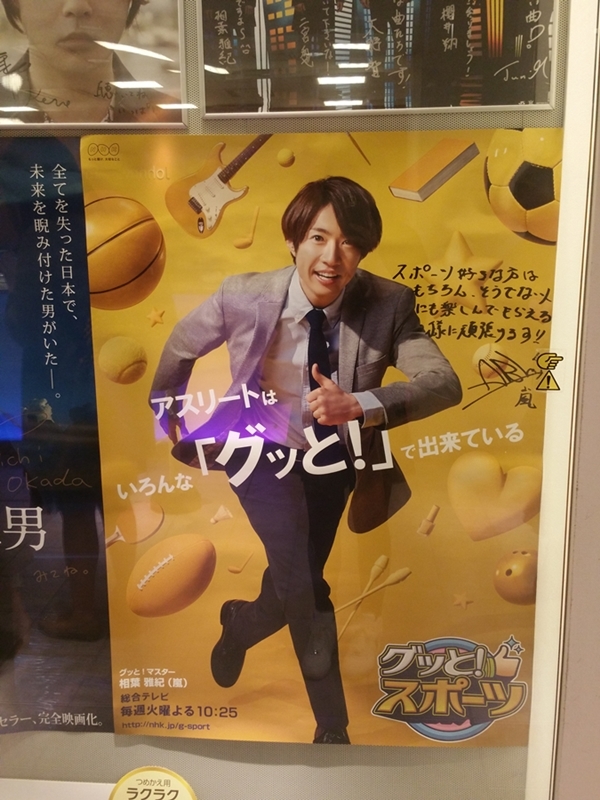 Although I didn't get to watch Yamapi's movie this time around in Tokyo and there weren't many of his ads that I could spot on the street either. 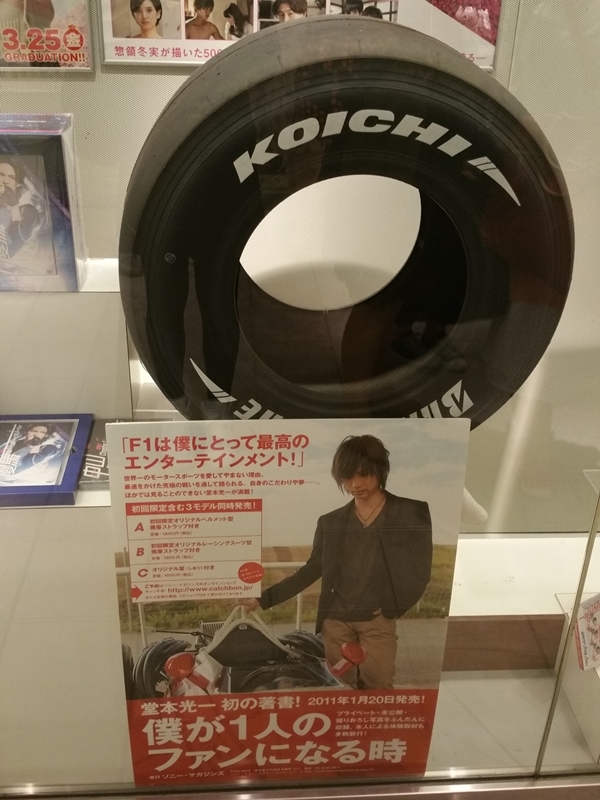 I did manage to catch a special video he recorded for the JFC during my visit. 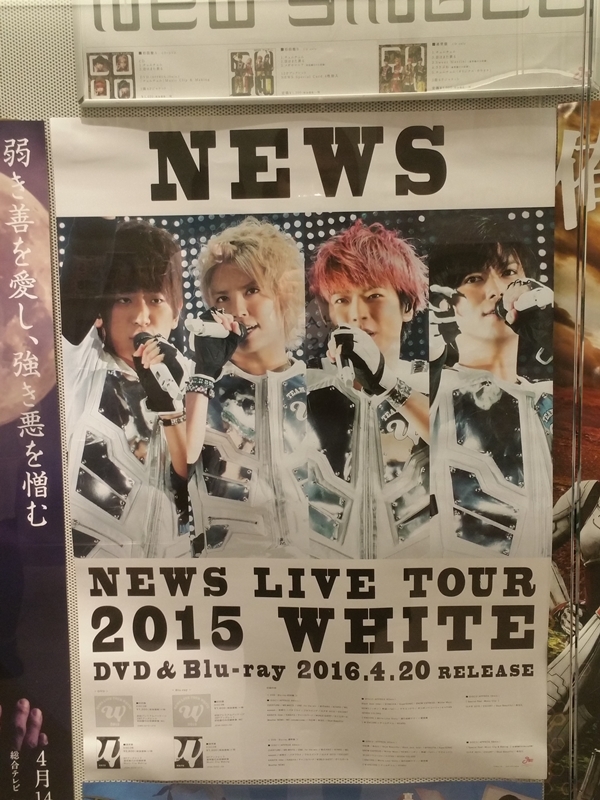 He was talking about the kawaii white sweater he was wearing with the furry hoodie which he looks SUPER adorable in! 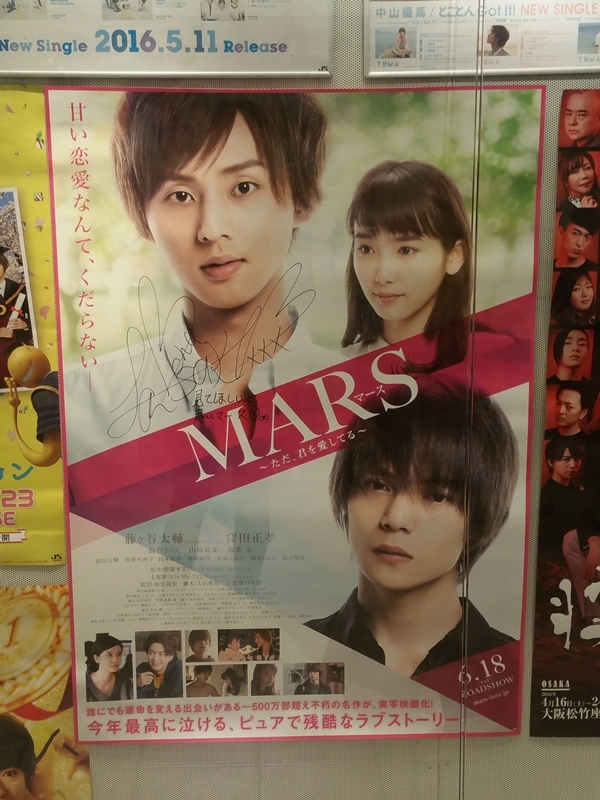 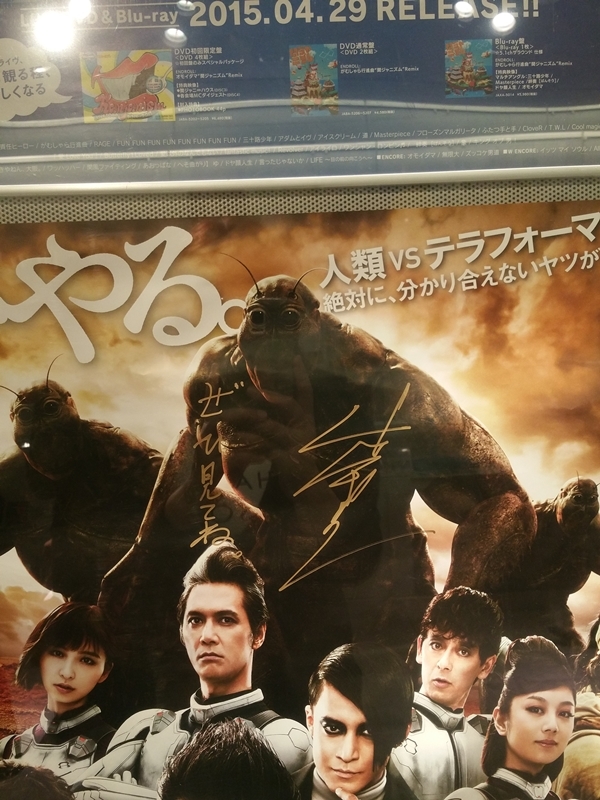 He was also talking about his movie Terraformars and asking his fans to please watch his movie.